Sweta, Gupta. Hande, P. J.
Analog Processing of the RF signals from antenna received at Central Electronics Building. 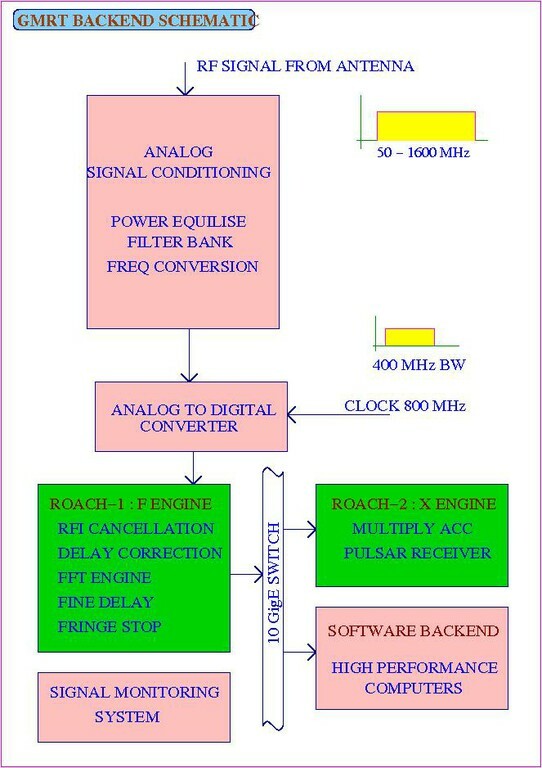 Convert the Analog signals so that it can be digitised and further processing can be done. Digitise the RF signals to get a 400 MHz bandwidth from each polarisation channel. 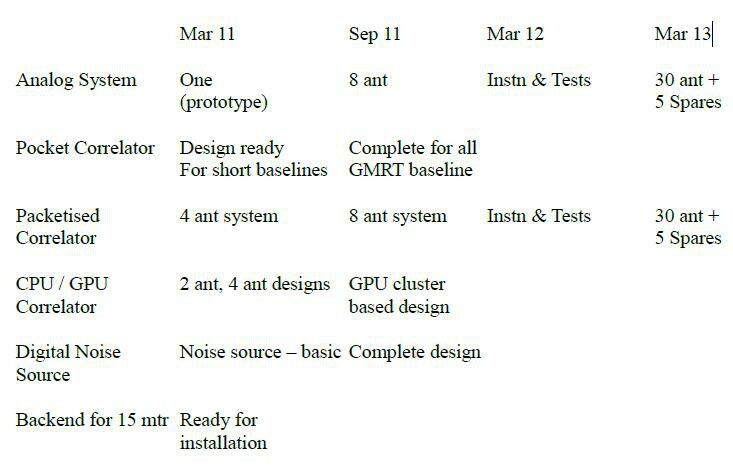 Process the signals to produce interferometry and array outputs.